In 2016, farmers in the top 16 pumpkin-producing States harvested 1.1 billion pounds of pumpkins, implying about 1.4 billion pounds harvested altogether in the United States. Production increased 45 percent from 2015 largely due to a rebound in Illinois production. Illinois production, though highly variable, is six times the average of the other top eight pumpkin-producing States (Figure 2). 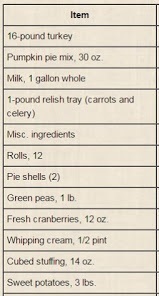 On the demand side, the quantity of turkey per person consumed rose dramatically from the mid-1970s up to about 1990, but then declined somewhat, but appears to have made a modest recovery in the last few years The figure below is from the Eatturkey.com website run by the National Turkey Federation. 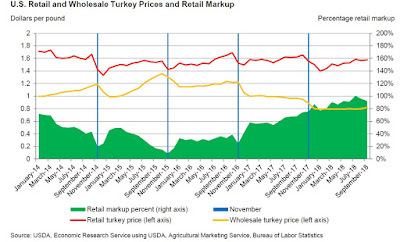 Given this reasonably competitive environment, it's interesting to note that the price markups for turkey--that is, the margin between the wholesale and the retail price--have in the past tended to decline around Thanksgiving, which obviously helps to keep the price lower for consumers. However, this pattern may be weakening over time, as margins have been higher in the last couple of Thanksgivings Kim Ha of the US Department of Agriculture spells this out in the "Livestock, Dairy, and Poultry Outlook" report of November 2018.. 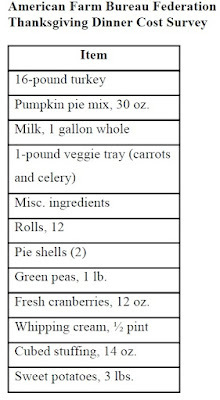 The vertical lines in the figure show Thanksgiving. She writes: "In the past, Thanksgiving holiday season retail turkey prices were commonly near annual low points, while wholesale prices rose. ... 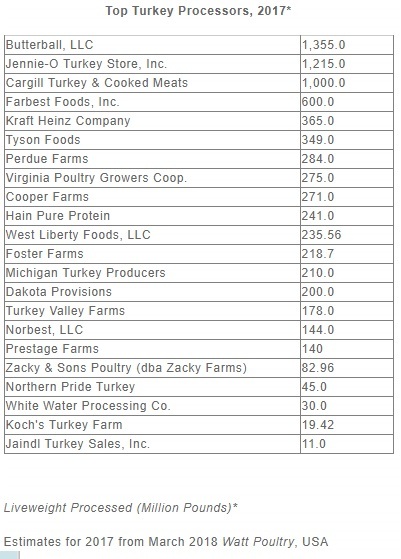 The data indicate that the past Thanksgiving season relationship between retail and wholesale turkey prices may be lessening." (Highly Pathogenic Avian Influenza): for discussion of the 2015 outbreak, see the November 17, 2015 issue of the "Livestock, Dairy, and Poultry Outlook" from the US Department of Agriculture, Kenneth Mathews and Mildred Haley offer some details. 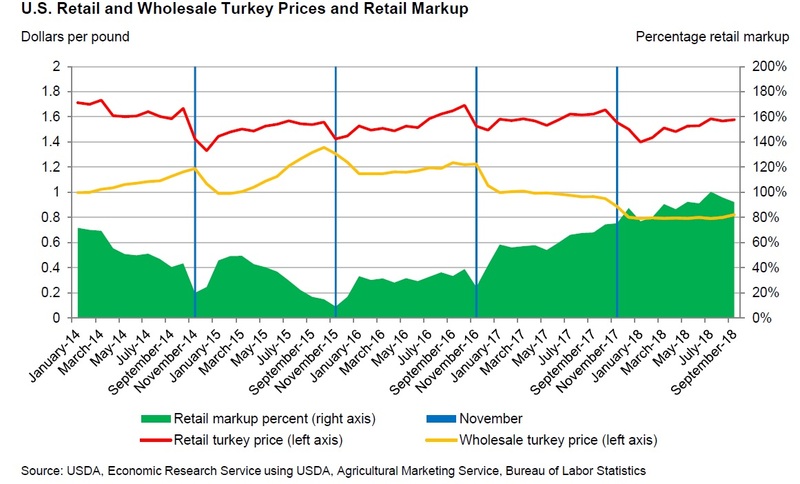 But for Thanksgiving 2018, supply seems to have remained strong and wholesale turkey prices have stayed low. The cost of buying the Classic Thanksgiving Dinner actually declined by a bit in 2018, fallingfrom to $49.12 in 2018 to $48.90 in 2018. 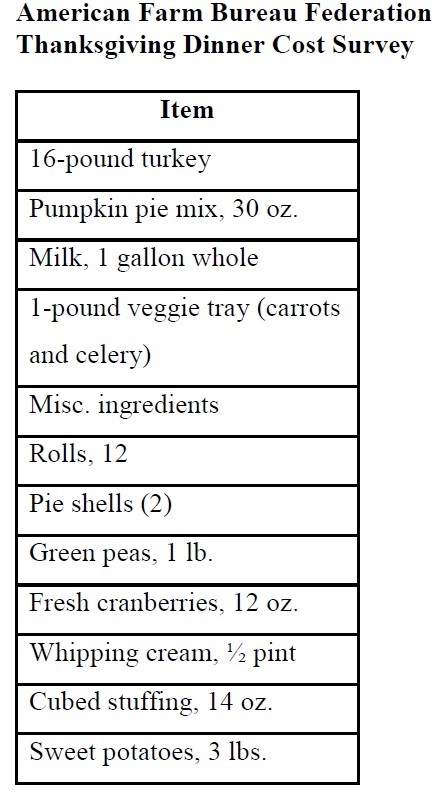 The top line of the graph that follows shows the nominal price of purchasing the basket of goods for the Classic Thanksgiving Dinner. The lower line on the graph shows the price of the Classic Thanksgiving Dinner adjusted for the overall inflation rate in the economy. The lower line is relatively flat, which means that inflation in the Classic Thanksgiving Dinner has actually been a pretty good measure of the overall inflation rate. I wrote a few weeks ago about the actual specific attributes of the style of capitalism practiced in countries of northern Europe. (Hint: It isn't "socialism," and it has a number of traits of which many American supporters of a Scandinavian approach seem largely unaware.) A reader forwarded to me this report Sweden's Ministry of Finance called "The Swedish Model" (June 20, 2017). "The distinguishing characteristics of the Swedish labour market are coordinated wage formation, an active labour market policy and effective unemployment insurance. The fundamental premise is that individuals should contribute through work and be willing to adjust to new tasks. Provided that individuals perform this part of the social contract, they qualify for rights in the form of income-related social security, and, after needs assessment by the Public Employment Service, active initiatives to facilitate the return to work after having become unemployed. In addition, there is a certain level of financial security for people who do not qualify for income-related social security benefits. 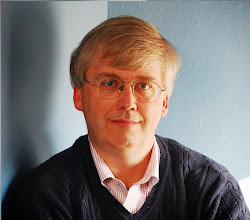 The social partners also provide a large portion of support in connection with unemployment through various career readjustment agreements." 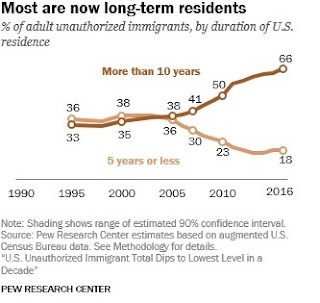 Back in 2012, I noted a study of how improvements in equal opportunity benefit economic growth, because an economy that makes fuller use of its human resources will be larger. 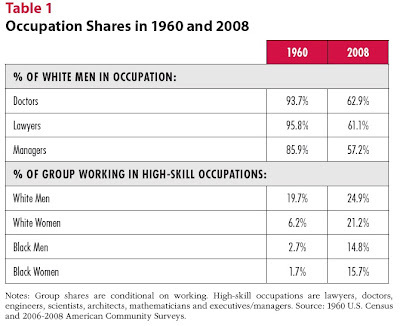 For an illustration of shifts toward more equal opportunity, Pete Klenow offered this table. 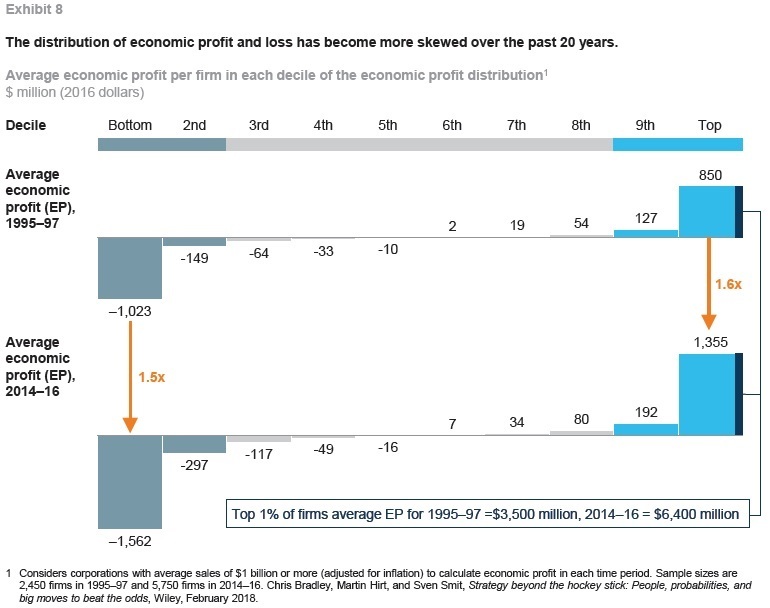 Based on joint research with others, he argued that about 15-20% of total US growth from 1960 to 2008 can be explained by women and African-Americans investing more in human capital and working in high-skill occupations. For those who would like to see the underlying research behind this result, the most recent (April 6, 2018) version of the research paper is available at Klenow's website. 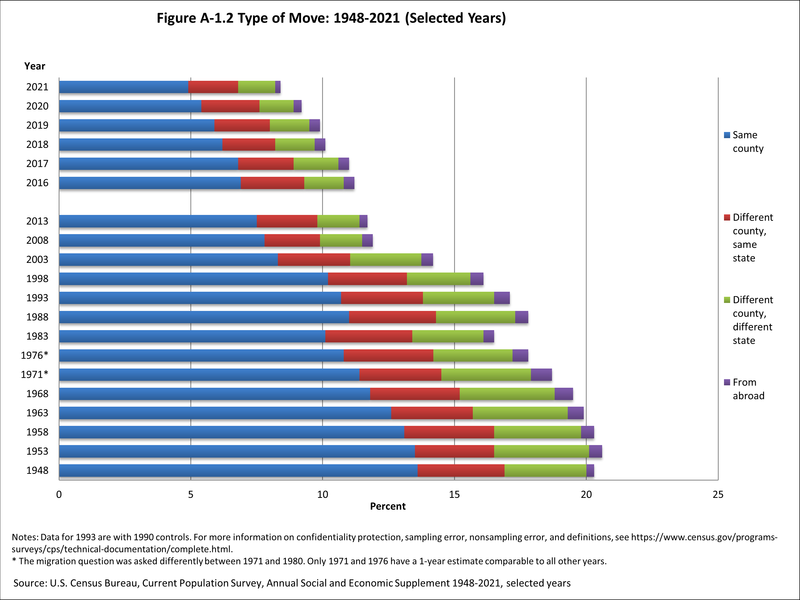 Their current estimate is that "[a]bout one-quarter of growth in aggregate output per person over this period [from 1960 to 2010] can be explained by the improved allocation of talent." There's a cautionary insight her about how how academic research really works. The preview of these findings from six years ago, back in 2012, has mostly the same bottom line result as the current paper. But the authors have spent years writing and revising to sharpen the analysis and to address detailed questions that have been raised. And the paper isn't published yet. For a discussion of the economic studies about Brexit options and their effects, see "Brexit: Getting Concrete about Next Steps" (August 2, 2016) and "Brexit: Still a Process, Not Yet a Destination" (November 17, 2017). Stop me if you've heard this story before. Certain loans look too risky for any bank to make on its own. So groups of lenders combine to make such loans, and then repackage groups of these loans as complex financial securities, and then resell the in pieces to investors all over the economy. 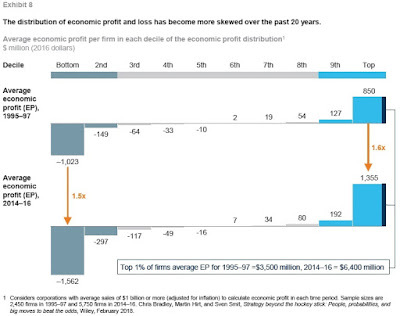 Just which financial institutions are are exposed to the downside risks is unclear. But we do know that the volume of these loans is growing fast, while the credit standards applied to granting such loans has been declining. Although this general description seems as if it could apply to the wave of lending in US housing markets in the lead-up the Great Recession, it also applies to the current wave of what is called "leveraged lending." For an earlier post on the subject, see "Leveraged Loans: A Danger Spot?" (October 4, 2014). "Rapid growth in leveraged lending is a concern. These commercial loans, often used by borrowers with credit ratings below investment grade for buyouts, acquisitions, or capital distributions, can leave borrowers highly indebted. Strong investor demand for these higher-yielding loans is behind the rapid growth. Less creditworthy corporations took advantage of that demand by seeking more funding in leveraged loan markets. As a result, more than $1 trillion of leveraged loans are outstanding. That is more than 11 percent of all U.S. nonfinancial debt — a record high. With the growth in leveraged lending has come a deterioration in the credit quality of newly issued loans. 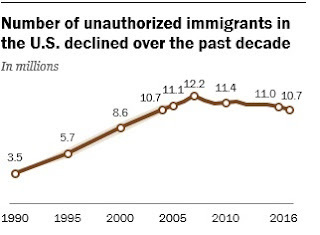 One sign of this decline is the high share of covenant-lite loans ... Covenants are restrictions placed on debt-issuing firms meant to increase the likelihood of payment. Another sign of deterioration in underwriting quality is that more than half of all leveraged loans issued are rated B+ or lower (that is, highly speculative). " Investors in such bonds, and financial regulators, should be paying attention here. Mushrooms are a relatively small US agricultural crop, with total production of about $1.2 billion in the 2017-2018 growing year. 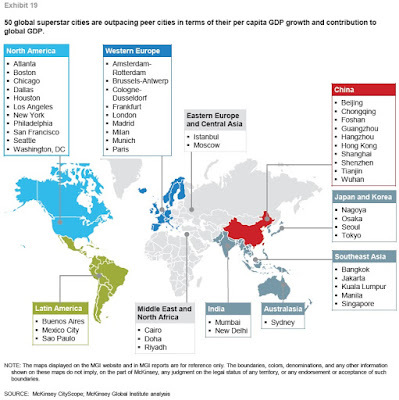 But they do illustrate some economic lessons, including how a local area that develops a specialization in a certain product can be hard to dislodge, and how the rise of China is reshaping global production in so many ways. 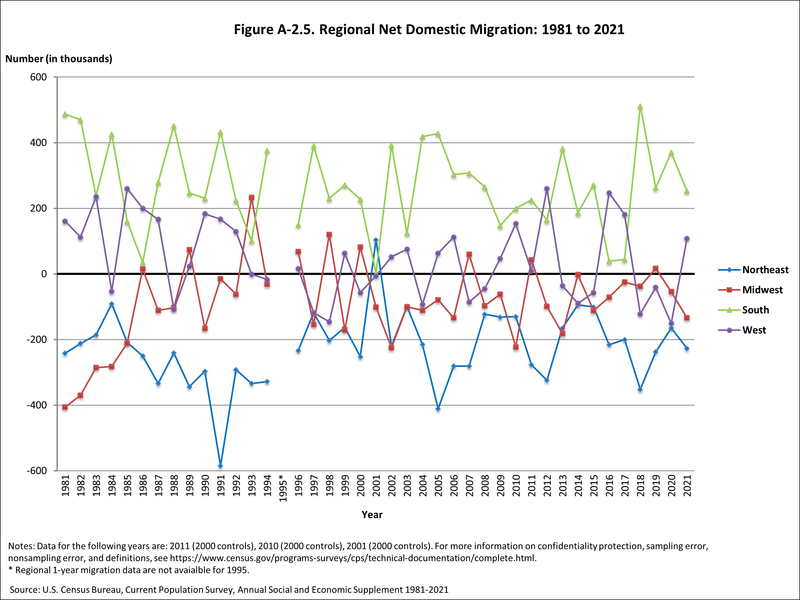 US mushroom production has for a long time been very geographically concentrated. The town of Kennett Square in southeastern Pennsylvania bills itself as the Mushroom Capital of the World, because about half of all US mushroom production happens in the surrounding area of Chester County. The story here goes back to 1885, and to a florist named William Swayne who lived in Kennett Square. Swayne grew a lot of carnations, which required raised beds. He pondered whether it might be possible to grow a cash crop in the space under those raised beds. Mushrooms had been domesticated in France and England in the middle of the 19th century. Swayne sent away to England for mushroom spores, and began growing them. The demand was high enough that he built a "mushroom house," an enclosed building designed to grow only mushrooms. Other local farmers took note, and the Mushroom Capital of the World became established. From an economic point of view, an obvious question is why mushroom production remains so concentrated in Chester County more than 120 years later. After all, the basic materials for growing mushrooms like compost from vegetative material (like straw and hay), along with animal manure, are not hard to find. The climate of southeastern Pennsylvania provides a usefully cool ground temperature in fall, winter, and spring, but there are many other locations with similar temperatures. 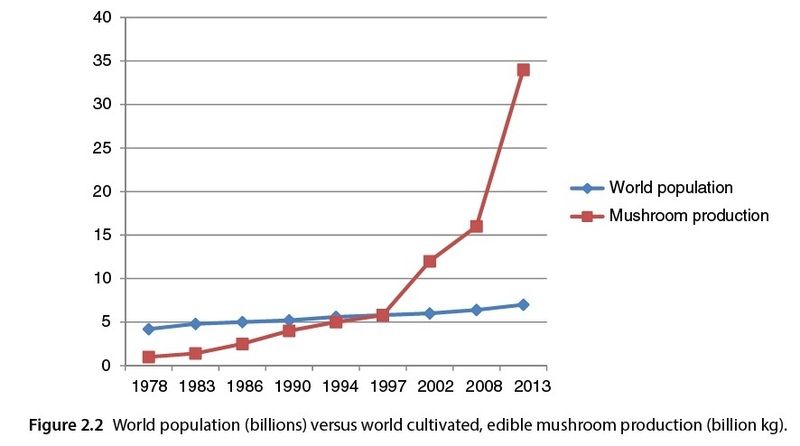 Although I do not know of a systematic study of mushroom technology, there are some obvious hypotheses as to why mushroom growing has stayed so geographically concentrated. Many types of production look fairly easy from the outside. But when it comes to large-scale commercial production that covers costs and makes a profit, it seems likely that growing mushrooms commercially requires detailed skill and knowledge that spreads among the workers and producers in a geographically close community--in much the same way that software developers flourish in the area around Silicon Valley. In addition to a local labor force with crop-specific skills, local producers build up a chain of processors, wholesalers, national distribution networks, and retailers that is not quickly duplicated. The producers around Kennett Square have shown an ability to dramatically increase production over time: for example, back in 1967 the total US production of mushrooms was 157 million pounds, with 57% coming from Pennsylvania mushroom farmers; in recent years, total US production of mushrooms has risen by a multiple of six at over 900 million pounds. Finally, the relatively small size of the mushroom market can limit the incentives for new competitors to make substantial investments in trying to take over this market. 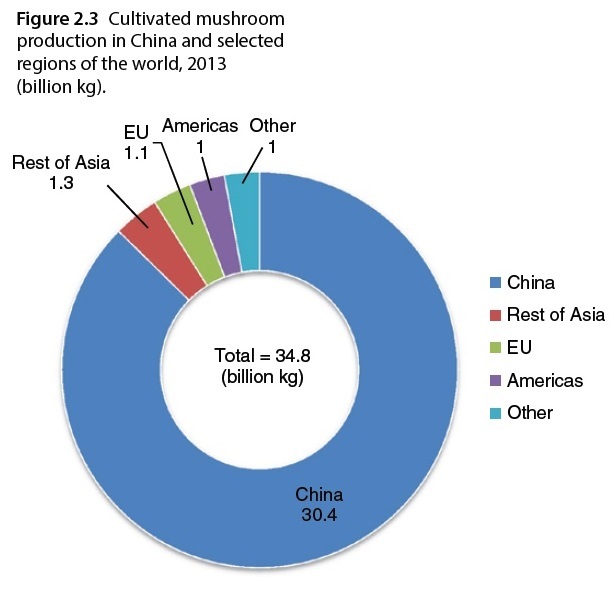 China is the main producer of cultivated, edible mushrooms (Figure 2.3). Over 30 billion kg of mushrooms were produced in China in 2014, and this accounted for about 87% of total production. The rest of Asia produced about 1.3 billion kg, while the EU, the Americas, and other countries produced about 3.1 billion kg. 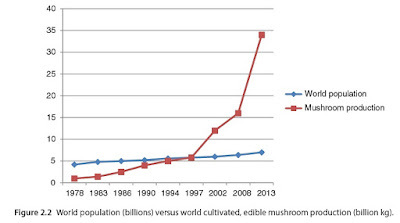 Here's a figure showing growth of mushroom production vs. world population. For sales of fresh mushrooms within the US and Canada, Kennett Square doesn't appear to be under immediate threat. But a 2010 report of the US International Trade Commission pointed out that the US became a net importer of processed mushrooms--typically grown in China--back in 2003-2004.